hether for love or work, study or pure adventure, you’ve found yourself calling another country home. Maybe this is your first move. Or you’ve relocated so many times, you’ve lost count. You’ve become an expert at packing up the furniture, the personal belongings, the kids, and the dog. Why shouldn’t you bring your writing along, too? Expat Jo Parfitt did just that, as she followed her husband from the UK to Dubai to Oman to Norway to the Netherlands. Since leaving her home country twenty-five years ago, Jo has made a name for herself as an author, journalist, mentor, and publisher. 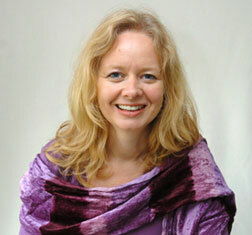 She is the author of twenty-eight books and runs workshops for writers both online and in the Netherlands. 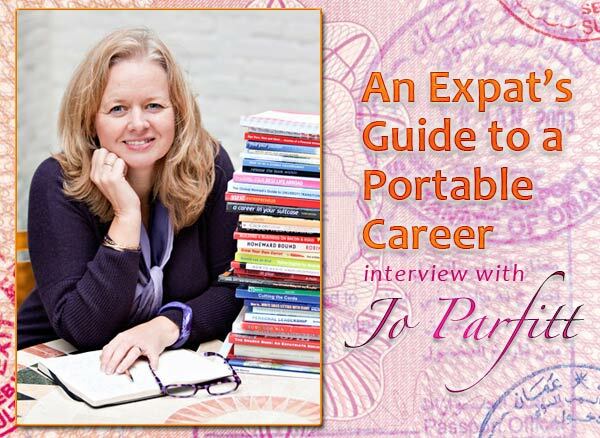 Known as an “expat expert,” Jo’s passion is helping expat writers discover their passion. WOW: Hi, Jo. It’s such a pleasure to have you with us today. I became an expat myself three years ago, and I noticed that a lot of expats tend to turn to a career in freelance writing. Do you have any idea why this is? Jo: The great thing about writing is that it is so portable and so global—you can write for people all over the world. Writing is something that doesn’t need any equipment apart from the computer. But you can also do as much or as little as you like. You can do one book review a month, or you can write full time every day. It fits around the kids; it fits around the visitors; it fits around the holidays; it fits around everything. I think that when you live overseas, a lot of interesting things happen to you; so you have stuff to share. That’s often a starting point—to write about your own experiences and about the expatriate identity, expatriate issues, transition, culture shock—that sort of thing. WOW: There’s definitely loads to write about. Even a trip to the grocery store can warrant several articles worth! Besides expat issues, what other topics or styles of writing do you see expat writers turning to? Jo: I believe that the best thing is to be a journalist. You get short projects; you only have to write up to about 1500 words at a time. They are quick to research, quick to do. And if you do write a book, you’re perfectly placed to write articles to promote the book after you’ve written it. I think a lot of people turn to blogging, try to build a following, and then do some affiliate marketing through the blog. Then there are lots of people who get involved with pay-per-click and get paid money every time they write an article on their blog or elsewhere that clicks through to, I don’t know, an online learning program or Caribbean holidays or something. But I think most people find blogging the best place to start because it’s least scary. WOW: I would imagine expats could also get into travel writing, as they are on location and have the ability to explore the country as a local and a tourist. 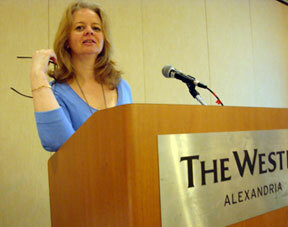 But going back to writing specifically for the expat niche, where are some of the markets expat writers can pitch to? Jo: There are global publications, like Living Abroad Magazine in England and Mobility Magazine in the States. There’s a new magazine coming out of Miami called Global Living, led by Alison Cavatore. I have a database of five hundred expatriate publications. And there are local publications. I think you also have to think membership magazines, subscription magazines, club magazines. You’ve got loads of magazines that go with charge cards, supermarkets, and department stores. You’ve got the magazines that go with companies. Now you might think you can’t write for those if you’re not associated with the company. Yes, you can. I have. I’ve written for newsletters that go with training institutes. You go on an airplane; there’s a magazine in the pocket in front of you. Take it with you, and there becomes somebody you can write for. But so many people don’t think like that. They don’t see the markets or the opportunities that are all around them. Some will pay, and some won’t; but you’ve got to cut your teeth somewhere. WOW: With so many publications and so many expats, do you think that this is a market that can become crowded? Jo: No. Honestly, in all the years I’ve been doing this, I’ve hardly met any people who are actually getting out there and trying to sell articles on these issues. About ten years ago, Robin Pascoe and I were the only ones who were out there writing for several publications, being considered to be the experts. I think very few people take that extra step to get out there and be an expert within their niche. There are some now, though—more than there used to be. WOW: Ah, niche. The magic word! Do you think it’s important for writers to find one niche and stick to it, or do you think writers should take a more jack-of-all-trades approach? Jo: The niche. Definitely. By specializing in expat issues, it was easy for me to target my market. I had such a strong portfolio and could go to a magazine and say, “I’ve written for this, this, this, and this on expatriate issues. Would you like an article on this?” I have a very good friend who goes for the variety approach; and when she writes an article on, I don’t know, how the brain works, she has to do two weeks research to write one article. Yes, she’s brilliant, and yes, she’s won awards; but because she needs to earn money, she can’t actually afford to spend two weeks writing one article and earning $200 for it. It’s wonderful to do it, and she’s produced some fantastic stuff; but I think you’ve got to keep your goal in mind. For me, it’s been to get out there, be prolific, be well-known, and do as much as possible. So for me, it’s much quicker to go bang, bang, bang with something in my niche. If you want to go for variety, I would say that’s because you enjoy the writing and the crafting and the researching more than you do running a business and making money. WOW: Another buzzword at the moment is platform. How important do you think platform is for an expat writer? Jo: I think what matters is that you’ve got to get known. It’s a good idea to make sure that your online presence utilizes your niche as part of your brand. So maybe you’ve got the word “expat” or “abroad” in your website, Twitter name, and all the rest of it. I think of Apple Gidley, whose book, Expat Life: Slice By Slice, came out in March. She’s been blogging for a while and is known as Expat Apple. She owns expatapple.com, and her Twitter name is @expatapple. She’s building her brand. WOW: Earlier you mentioned that not all publications pay. What is your stance on writing for free? Do you think that writers can get stuck in a rut writing for non-paying markets? Jo: I think you’ve got to start somewhere. If you can start being paid—great! But if you can’t, you’ve got to get your portfolio, so you’ve got the confidence to go to other publications. Once you’ve got yourself a portfolio and you know you can do it and you trust yourself—and you know how to pitch, how to interview people—you know how to do it quickly and efficiently and do it objectively and all that, then go to places that will pay you. And if you get stuck writing for free, I’d say that’s your fault. WOW: Very true! As far as trying to get work, paid or not, writers sometimes lack the self-confidence to make a pitch, and one of the reasons tends to be, “Well, I haven’t written for anything before. I don’t have any clips.” How important do you think clips are to getting a job? Or is that something we come up with as an excuse as to why we don’t get started? Jo: Well, yeah, I think some people do use that as an excuse. I never had any clips when I got paid for my first article. What I did have was the confidence to walk straight into a magazine, straight up to the editor, and say, “I’ve got this idea. Do you want it?” I think it’s much easier if you can say, “I am a writer, and . . .” Not what some people might say, which is, “I’m hoping to be a writer, and I haven’t written anything yet, but . . .” So no, you don’t need clippings. But if you don’t have them, you’ve got to have a lot of what we call “nouse” [savvy, practical skills]. “I believe that the more you write, the more feedback you get, the better you will be, and the better you will feel about yourself. WOW: Besides pitching, what are some other things expat writers tend to struggle with? Jo: Networking, opportunity spotting, and pitching I think are the biggest obstacles. Lack of self-belief is another one. But I believe the more you write, the more feedback you will get, the better you will be, and the better you will feel about yourself. Motivation is another. When you’re moving from country to country and your kids aren’t settling in at the new school and you’ve got a new house to find, being motivated day after day to write something of quality can be pretty tough. WOW: Do you find that when expats relocate, most of them have to start from scratch in their new country or they’re able to keep a good portion of their clients—or is it a juggling act? Jo: I think I wrote about two more articles for Dubai while I was in Oman. They didn’t want me once I wasn’t there anymore. But that’s probably because they were local publications—they wanted articles about local things, and I couldn’t report on the new market or, you know, that sort of thing because I wasn’t there. So yes, I did lose work when I moved. But there are plenty of other magazines that don’t care where I am in the world. WOW: In my case, I’ve ended up in the Netherlands, where the national language is one I am not familiar with enough to write in. What advice would you give to expats wanting to start or continue a career in freelance writing in a country where English is not the native language? Jo: Of course, there are the global publications, the hidden markets that I mentioned earlier, and local English language publications. When I went to Norway, there were no English language magazines; and I couldn’t write for any magazines, so it was really difficult for me. I continued to write for an English bank magazine and a few other places that were global or in England. I just thought, Well, I’d better do something else. So I decided I’d write a book called A Career in Your Suitcase. And I put together one called Forced to Fly. So, I decided I’d put together some books instead and just change what I did slightly. WOW: Great that you mention your books! On that note, I think it’s important to point out that you have multiple income streams: teacher, mentor, publisher, author, workshops, and so on. Do you think that’s necessary for expat freelancers? Jo: I’ve continually adapted my business because I like variety, but also I can do a lot of things. When I lived in Dubai, I ran a computer training company, a CV writing service, and was a freelance journalist. When we went to Oman, nobody wanted CVs, and I didn’t find many people who wanted to learn to use a computer. I, then, started teaching creative writing, became an agent selling books, and was still a freelance writer. I even dried the bean pods and flowers of the trees in my garden and turned them into Christmas decorations. So I’m always finding different things to do because some things work and some things don’t. The reason my business now has so many streams is because I try a lot of things. I believe in exploiting everything I do and finding another spin on everything. So it’s not just a workshop—it’s a workshop, it’s a book, it’s an online course, and it’s a CD—it’s a this; it’s a that. My main business now is being a publisher. And the reason I’m doing that is because I’m trying to build something, so that I’ve got some passive revenue coming in. WOW: What advice do you have for expats wanting to start a writing career or writers finding themselves catapulted into expat status? Jo: You must hone your craft. 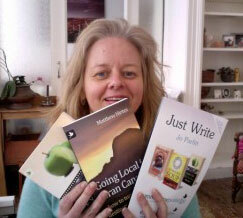 I’ve done copywriting courses, story writing courses, poetry courses, journalism courses. I’ve honed my craft by studying. I have always, always been part of a writers’ circle, so that I’ve got support from peers. I have attended writing conferences; I think that’s really important. And I have become a very good networker. I think networking is absolutely key. You’ve got to get out there and meet people. You’ve got to make friends. You’ve got to make connections. It’s so important. You’ve got to get feedback. You’re not gonna get any feedback if you don’t get published. So don’t hide and not show your work to anyone—that’s silly. You’ve got to show it to people, and you’ve got to get feedback. Be brave and get out there. WOW: Fantastic advice! Did you have anything else that you wanted to touch on or add? Jo: I would say that the key thing to portable careers is that you’ve got to find your passion. You’ve got to know what it is you love. You might not love writing. There are people who say they want to be writers; but actually, it isn’t what they’re born to do. So you have to identify what it is you really want to do. It’s so important. With any portable career—whether you end up a bicycle repairman or a pilot or whatever—you have to be sure of what you love. Because if you don’t do what you love, you will not be motivated; you will not be brave; you will not survive the knocks; you will not find that it will sustain you and give you meaning and purpose and fulfillment. WOW: Thanks again so much, Jo, for this wealth of information. Unfortunately, I now no longer have any excuses for dragging my feet with my own career, as you’ve dispelled them all! Jo runs Summertime Publishing and recently opened The Expat Book Shop, a “showcase [of] books by people living abroad for people living abroad.” Her debut novel, Sunshine Soup, was released in 2011, and the fourth edition of her book, A Career in Your Suitcase, will be coming out later this year. You can keep up with Jo (if you can!) via her website and blog at www.joparfitt.com. 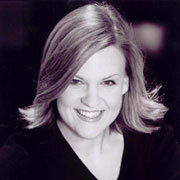 Tiffany Jansen is an American freelance writer based in the Netherlands. Besides expat and travel writing, Tiffany is also the author of two children’s books. She lives with her Dutch husband, AmeriDutch daughter, and American dog. Follow her expat adventures at The Migrating Yankee, or catch her on Twitter.